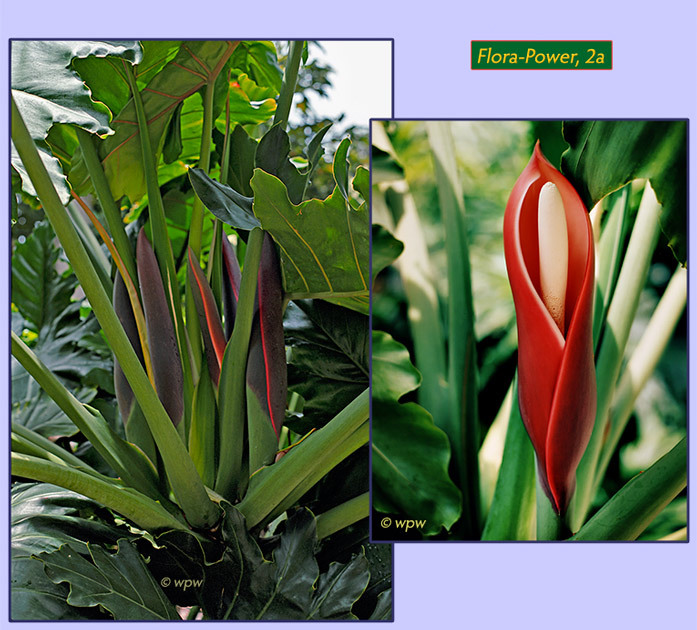 as King of Tree Philodendrons, somewhat in between Philodendron rubens or X evansii... Apparently from the Minas Gerais and Sao Paulo regions, and named after the noted German botanist and taxonomist A. W. Eichler (1839 to1887) who may never have been to Brazil. either at one of the many botanical gardens of the Hawaiian islands or at a similar place in CA. (and finally) confirmed by the San Diego Botanic Garden..! "Thank You." A fine art print of the image above is available as Flora's Fancy in my online showcase.